forums.drowtales.com • View topic - Drowtales Space age sign up. Board index ‹ Drowtales world ‹ Roleplay ‹ Game Tavern ‹ Drowtales Space age sign up. Hi everyone, I am planning on having a Drowtales Space age Rp. The story is civil war has broken out. The Pcs are the 75th Raider unit and they are on rout to liberate a space base mostly controlled by rebel forces. This space station is of strategic value for space routes and is armed with a heavy ion cannon that is currently 70% percent complete. This form is to register character sheets. Anyone interest is welcome to make a character. Rank: Privet/ Privet 2nd class/ Corporal or Sergeant are your choices. Back ground: just a small, basic background please. Once I have some players I'll begin play. Re: Drowtales Space age sign up. I have an idea: Drowtales space age on the planet Venus. It's called "Everyone dies instantly." The 75th raider unit and rebels are deployed on the surface, and then they're crushed by the atmosphere, burned to a crisp and dissolved in acid. 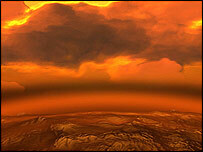 Yulnaggoth wrote: I have an idea: Drowtales space age on the planet Venus. Perhaps if you could explain in more detail how it would work? Last edited by Tiyev on Mon Nov 14, 2011 7:31 am, edited 1 time in total. ...Ever heard the story about a lad and a wolf? 'Cause this somehow reminds me of it, for some reasons.